Australia is certainly a fixture on the average American bucket list. But its 150-mile-removed island state of Tasmania? Not so much. 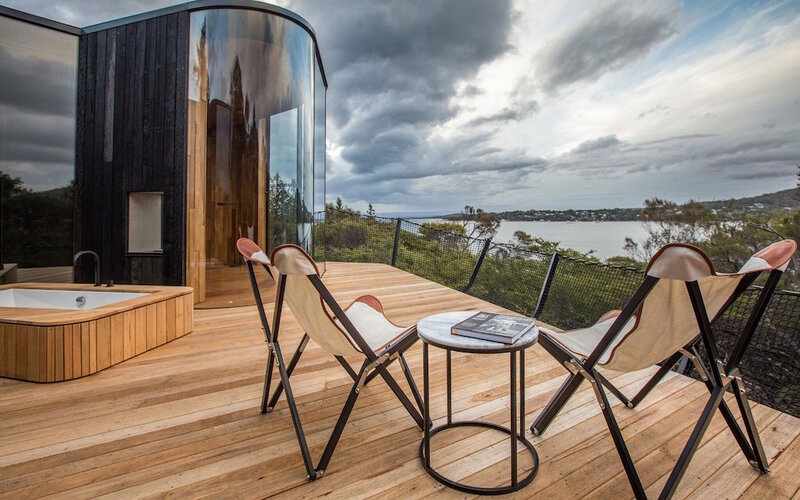 Here to advocate for some regime change: Freycinet Lodge’s new Coastal Pavilions. 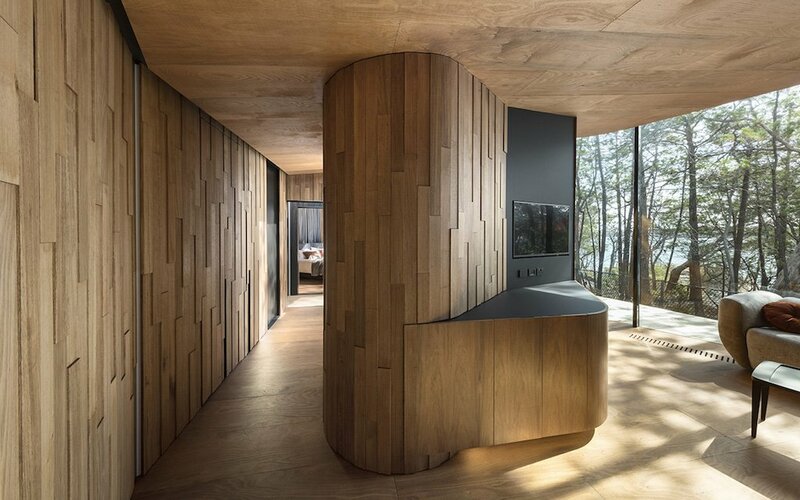 Freycinet is one of the island’s first national parks (dating back to 1916), situated on a peninsula that boasts pink granite mountains called the Hazards and the white-sand beaches of Wineglass Bay and Great Oyster Bay. 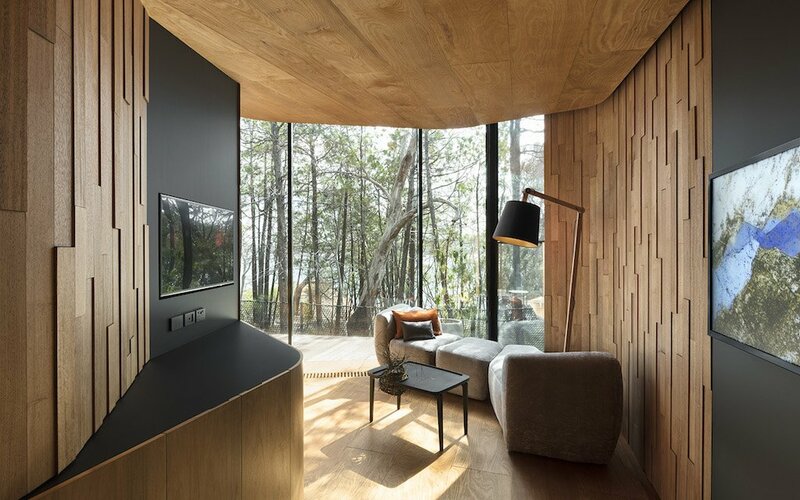 Until recently, the secluded Freycinet Lodge complex comprised a series of relatively conventional cabins, but an “enhancement project” invited Liminal Studio to come in and design abodes that match the splendor of the surroundings. 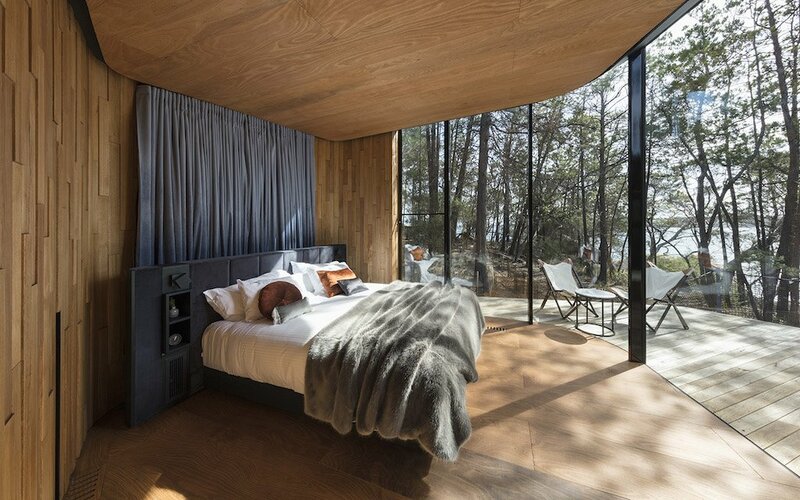 The Coastal Pavilions, which number nine in total, include a king bed, private deck and separate living area, but the pièce de résistance are the glazed structures themselves. 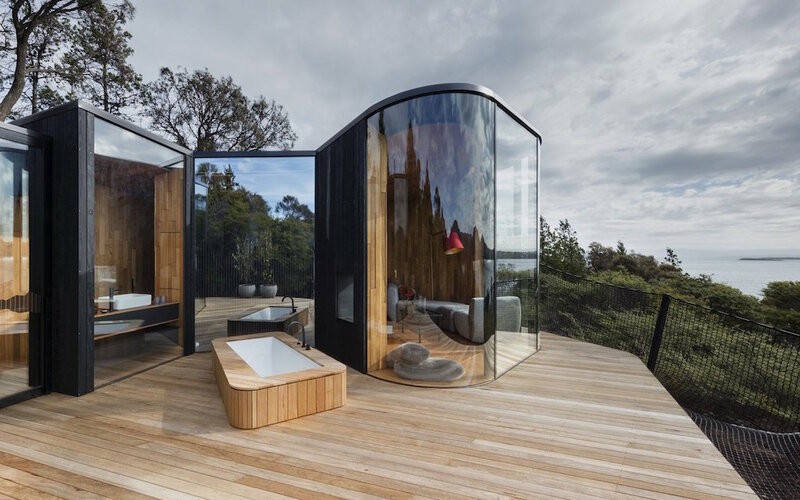 Paired with the charred hardwood of the deck, they blend in with the waves of the bay and the surrounding vegetation — even wrapping around to lend privacy to an outdoor bathtub. Service is nothing to sneeze at either. 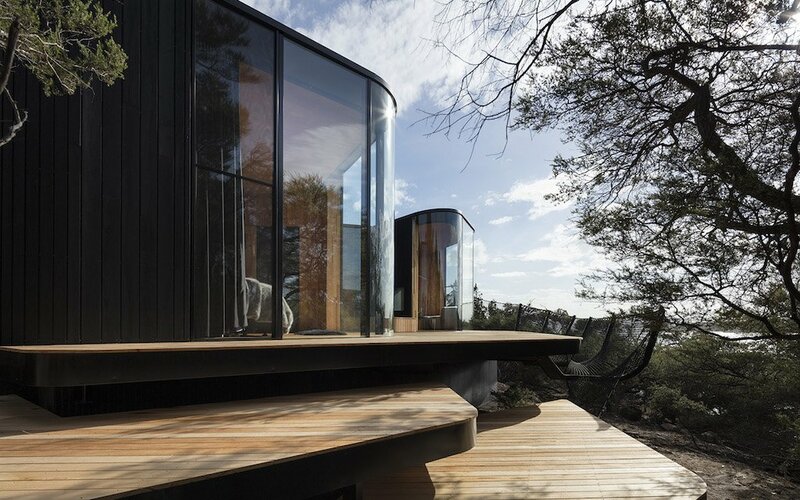 Two restaurants sit on the property (Tasmanian whisky, anyone? ), but should you wish to forego socializing at breakfast, they’ll gladly trot a hamper up to your pavilion. 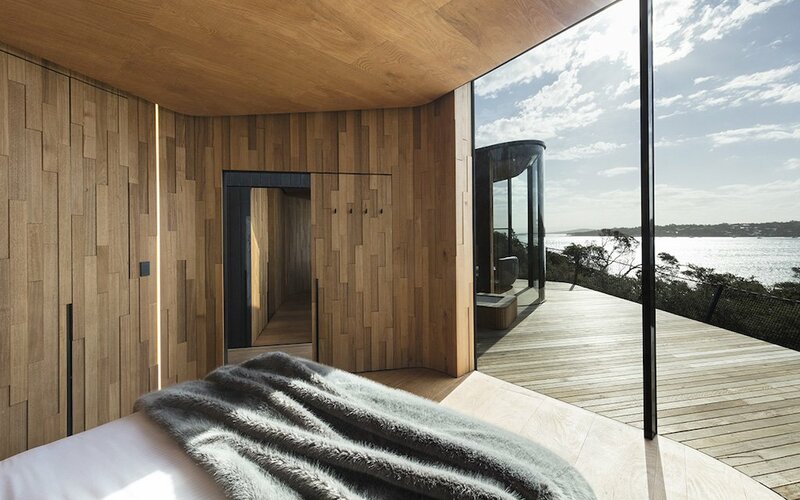 These immaculate new lodgings have been open since March, and come with a bay view or slightly less expensive “coastal bush” view, and the enhancement project is still underway, with Hazards View Pavilions and a Deluxe Suite coming soon. Time to book a trip down under Down Under.